Home / Analysis / featured / Toby Gould / Could Corbyn Cause a Widespread Shift to the Left? Could Corbyn Cause a Widespread Shift to the Left? Take a look at an online newspaper front page and I’m sure you’ll find at least one Corbyn-related article. He’s ahead in two big polls (by a long way) and amongst the media, and apparently young Labour supporters, there appears to be a sense of ‘Corbyn-mania’. Many think he is bad for the Labour party, including a number of Tories who are0 celebrating his popularity surge. But there are others, mostly on the left though also spread across the political spectrum, who think Jeremy Corbyn poses a real threat to the national political consensus. Not necessarily because he can win the Labour election and eventually become Prime Minister, but because his politics will shift what we see as the centre ground further right – meaning the norm is on the left. Geoffrry Howe, Margaret Thatcher’s former chancellor, said that her “real triumph was to have transformed not just one party, but two”. He means she created a consensus and established a new centre line in our political spectrum to which the Labour party was forced to adjust. And they did; in the form of New Labour and Tony Blair. Left wing commentator Owen Jones argues this well in an article for the New Statesman. He states: “New Labour's acceptance of many of the underlying assumptions of Thatcherism was, in the view of Thatcher and her supporters, the crowning glory of their great crusade. Their project was safe, unchallenged, a new political consensus.” But it is now argued that this Thatcherite consensus is under threat; under threat from Jeremy Corbyn, who is supposedly establishing a more leftist norm in British politics. Is Britain really about to shift more to the left, or is this just a fantasy being promoted by those caught up in Corbyn-mania? Allister Heath of the Telegraph agrees fully the view that Corbyn is shifting UK politics and called him “dangerous”. 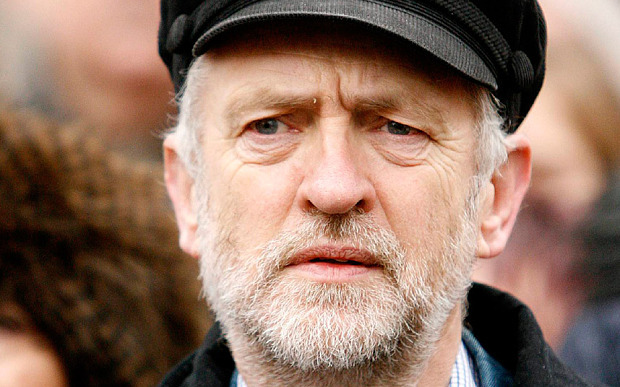 He recently wrote: “It would therefore be a disaster for Britain were Jeremy Corbyn to become leader of the Labour Party… even if Mr Corbyn himself never even got close to winning an election. However, with that said, one has to wonder whether the public would embrace a move the left easily – especially considering the Conservatives have just won a majority for the first time since 1992. The public chose the Conservative’s plan for austerity and reduced spending and government over the Labour party – who did still provide a more left wing option despite criticism that Miliband was being ‘Tory light’. Miliband is actually still considered and perceived to be a left wing leader, certainly in comparison to David Cameron and George Osborne – whom the public picked. So, for the moment, the central consensus in British politics is relatively safe. But if Corbyn does become leader and is able to have the impact on the whole system that some think he will, then to counteract a left wing shift which may occur the Conservative party and right wing press will have to present a positive vision of their ideology; a negative vision of Corbyn’s wouldn’t be enough.